Portland, Oregon, is often cited as one of the most livable cities in the United States and a model for "smart growth." At the same time, critics deride it as a victim of heavy-handed planning and point to its skyrocketing housing costs as a clear sign of good intentions gone awry. Which side is right? Does Portland deserve the accolades it has received, or has hype overshadowed the real story? "Whether Portland is a model for Smart Growth and sustainability or is failing to address challenges of urban sprawl and affordable housing is one of the debates at the heart of this book, which examines how Portland's urban system and planning approaches actually work—an exploration applicable to other U.S. metropolitan areas." 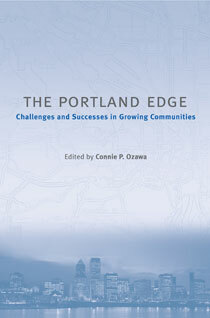 "With numerous photos, tables and figures, The Portland Edge is a text for urban livability." Chapter 3. Urban Redevelopment in Portland: Making the City Livable for Everyone?